Private Blog Network or PBN is a network of linked websites that seek to increase the authority of a single website, which is known as a money website. PBN’s manipulate search engine rankings of your money website by linking to it, however, through testing it has been proven that the benefits are multiplied when you have traffic and social activity going to your PBN. A more successful PBN is therefore dependent on traffic and engagement. Below are three of the best ways to generate traffic to your PBN. The use of long tail keywords in content creation leads to 80% improvement in organic traffic. Even without any links, your site should be able to rank for some of these keywords. For example, you’re in a specific niche like weight loss but have a general health PBN. Look for an authority website in your niche that has a long tail keyword that is ranking like “weight loss after baby”. Ahrefs Keyword Explorer and Semrush are tools that help in researching long tail keywords that are making the site rank highly. The organic search findings, provides information about traffic, top keyword, volume, etc. Use the statistics above to group the keywords into long tail keywords. To increase your competitive edge, go for long tail keywords with less competition and 10-150 searches per month. Make sure the keyword is not too competitive; longer keywords work better if there is no competition especially from authority sites. Make sure you also check on Google too. Identifying the long tail keywords is just a step in the process of generating traffic to your PBN. Now you can create killer content using the headers and subtitles generated in the research process since they are already keyword targeted. Increase your competitive edge by making it longer and more appealing than your competitors’. For your content to rank: be ready to promote it and link it to other relevant and authoritative sites. It’s every content creator’s dream to rank the best. To identify how many links you need to be in top spots, use Ahrefs keyword Explorer. As at April 2018, active social media users worldwide were 3.03 billion. 2.072 billion were Facebook users. This makes it a goldmine for potential traffic into your PBN. Start by signing up for an account. 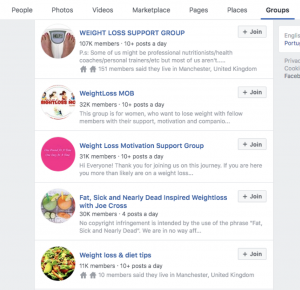 Secondly, search pages and groups in your niche. Whether you choose to do it or use your virtual assistant, the idea is to be as engaging as possible. “A picture is worth a thousand words”. Relevant infographics and illustrations are a great way to capture readers’ attention. One of the places that you can get one at a reasonable price is Fiverr. Facebook users are more likely to check out and share posts that are visually appealing. Sounds obvious, right? Since your PBN has a number of websites, attach URLs leading to them. It will not only boost traffic but also lead to search engine optimization of your content. Configure Facebook (social media) buttons on your websites. Once configured, ensure that they are functioning properly. Example, #3waystogeneratetraffictoyourPBN. Hashtags increase exposure of your posts to a large audience. When effectively done hashtags generate massive traffic. A good Facebook post has a brief description, captivating title, an image and is linked to a source. Next time you are creating a Facebook post, use it as a marketing tool for your PBN. It won’t matter how hard you market substandard content, it will be a waste of valuable resources. To generate traffic that converts, start with high-quality content. Take time and be known before you can flood your audience with content. People will consume content from people they trust. Don’t be a robot. Invest time in group interactions. Show genuine concern and offer the best solutions possible. Once you gain some authority, link your content. Sign up for accounts in Quora.com and Reddit.com and remain active. 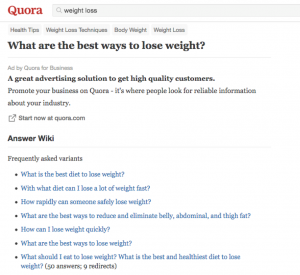 Quora.com, is a Q&A website with lots of daily traffic. For bio section create “about me” that correlates with your niche. Answers from professionals are more trusted, so build up your contribution slowly and after earning a few followers and upvotes, link out to authoritative websites. Search for information in your niche. Create high-quality content that answers those questions. Write an answer that’s exceptionally good; link it to your article as well as to other authoritative sites. Reddit is based on a tough principle. You have to answer, upvote and be active before linking out to any sites. It is organized into a forum with subreddits instead of threads. 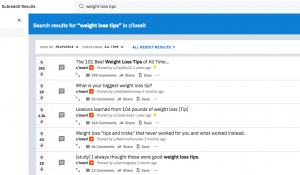 You need to look for subreddits with less traffic and engagement since they are less moderated. However, they will still get you clicks if your articles are spectacular. Blog network sites that have traffic are one of the best methods to enhance the power of your overall blog network. I agree that doing the above can become a chore, but once you have it figured out, you can outsource to a VA with ease. Google is getting smarter every day and your links need to be justified by traffic and social activity if you are going to keep your blog network safe.